Even as the trade deficit has widened to record levels and exports remain below the 2013-14 peak, the government is crippling one of the few sectors where India has a huge export potential — livestock and meat. A combination of Hindutva and animal rights activists persuaded the Shipping Ministry to ban exports of livestock from all ports last week. Live sheep and goats have been exported to the Gulf for decades, and are in high demand for sacrifice on Bakr-Id. Exports are opposed by Jains and activists who hold animal life sacred. But they have no more right to impose their views on others than others have to impose meat-eating on them. Goats and sheep are eaten regularly by Hindus. Yet some Hindus find reasons galore to make life difficult for Muslim traders who dominate the livestock trade. In ethical and economic terms, it is nonsensical to allow animals to be slaughtered and eaten in India but banned from being exported for slaughter. Exports of livestock (mainly sheep and goats) have been rising in recent years, touching a peak of Rs 527 crore in 2016-17, before falling to Rs 411 crore in 2017-18. They are exported mainly to the United Arab Emirates (where Indians and other foreigners vastly outnumber local citizens) and Nepal. It is ridiculous for the government to ban exports by sea (mainly to the UAE) but allow exports by land to Nepal. Supposed concern for animal rights is being twisted into plain communal discrimination. It is somehow ethical for goats to be eaten by Hindus in Nepal but not by Muslims in Dubai? In a related move, the Shipping Ministry has banned small country craft from exporting animals from Gujarat’s ports. Adil Noor of the Livestock Exporters Association of Gujarat says small lots of 1,500-2,000 animals are too small for big ships to accept, so they have historically been shipped by country craft to the Gulf. The ban now means financial ruin for the local livestock industry supporting 40,000 families. Activists can rightly complain that some animals are shipped in summer in terribly cruel conditions, sitting deep in their own urine and faeces for days with little or no water. Regulations are needed to ensure humane treatment. But not an outright ban. Officials justify the export ban saying activists have created a public order problem. Will officials change their mind if shepherds and exporters launch a bloody counteragitation? Trade policies should be dictated by the public interest, not mobs. Mob lynchings of cattle transporters are human tragedies. They are also economic folly. Whatever the Constitution may say about curbing cow slaughter, nothing in Hinduism or the law justifies attempts to cripple the buffalo meat and leather industry. Buffalo meat has overtaken basmati rice to become India’s biggest single agricultural export, fetching over Rs 25,000 crore per year. As I argued in a column last year, Uttar Pradesh can accelerate GDP growth to 8-10% by focusing on one of the few areas in which it is India’s No 1 state — buffalo meat exports. 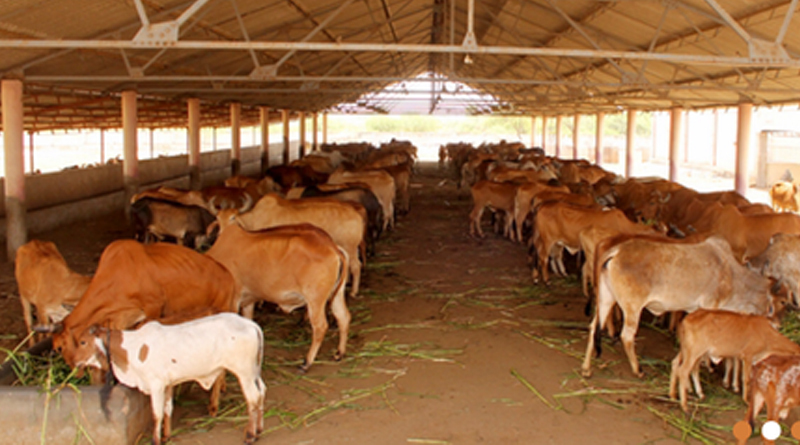 The ban on cow slaughter means that aged cattle fetch farmers nothing, while aged buffalos will fetch Rs 25,000 each. This has encouraged farmers to shift from cows to buffalos, whose milk also happens to have twice the fat content of cow milk. Dairy, meat and leather form an economic triad that can make UP an economic powerhouse. Experts estimate that a small subsidy for feeding calves can quadruple UP’s buffalo stock. Instead, vigilantes roam the highways harassing transporters and extorting Rs 500 per animal. UP chief minister Yogi Adityanath says he has closed only illegal abattoirs, not legal ones. But the law says the government must licence one abattoir in each municipality for hygienic meat supply, and this is not happening. India’s buffalo meat exporters have to observe the highest international hygienic standards, imposed by countries they export to. Given this track record, they should be licenced to operate slaughterhouses in every municipality. Instead they are being harassed. Operation Flood should be extended from cattle to goats, which also provide milk, meat and leather. Cattle will not eat paddy straw which is, therefore, burned by farmers, causing killer smog across north India. But goats will eat paddy straw. State governments should promote animal feed companies that mix paddy straw and molasses, and encourage stall-feeding of goats. This will be much better than traditional goat-rearing through grazing, that can ruin scarce green cover. Animal husbandry has now become almost as large as cropping. It should play a key role in Modi’s plan to double farm incomes. Instead the livestock and meat industries are being lynched, harassed and subject to bans.